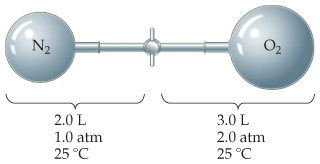 Solution: Consider the apparatus shown in the drawing.What is the partial pressure of O2 in the mixture? Consider the apparatus shown in the drawing . What is the partial pressure of O2 in the mixture?